HoMedics SS-4510B Sound Spa Auto-Set Clock Radio Projects Time Gray Works! 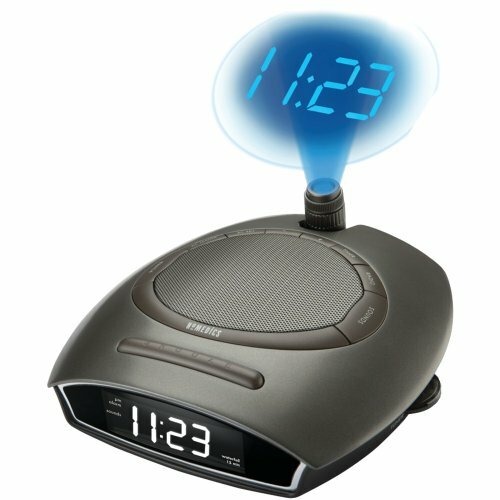 A great sound spa alarm clock radio! The time projects on the ceiling. Many spa sound soothing white noise to choose from Rain, Thunder, Summer time, etc. This works and in excellent condition! Smoke free home! Thanks for looking and please check out my other items! 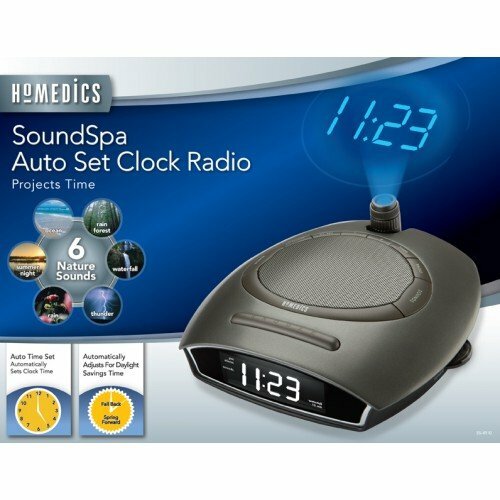 Homedics SS-4510B Sound Spa Auto-Set Clock Radio Projects Time Gray Works!. Condition is Used. Shipped with USPS Priority Mail.